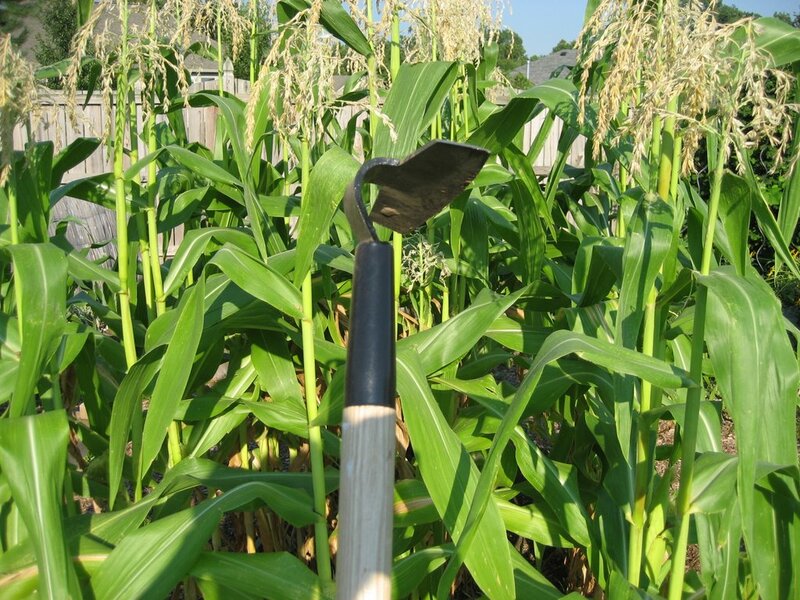 The Winged Weeder – A Super Hero Hoe! Grub Hoe, When You Need a Hardworking Hoe! 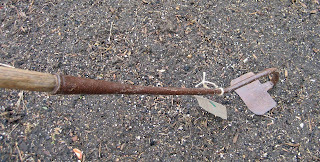 Rogue Hoe Dog - Sharp, with a nose for weeds! 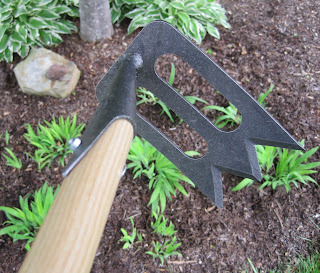 Scuffle Hoe - For the indecisive - do you push it or pull it? 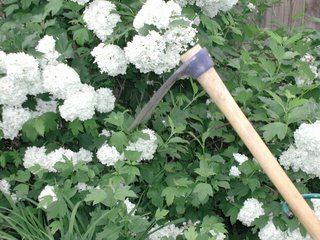 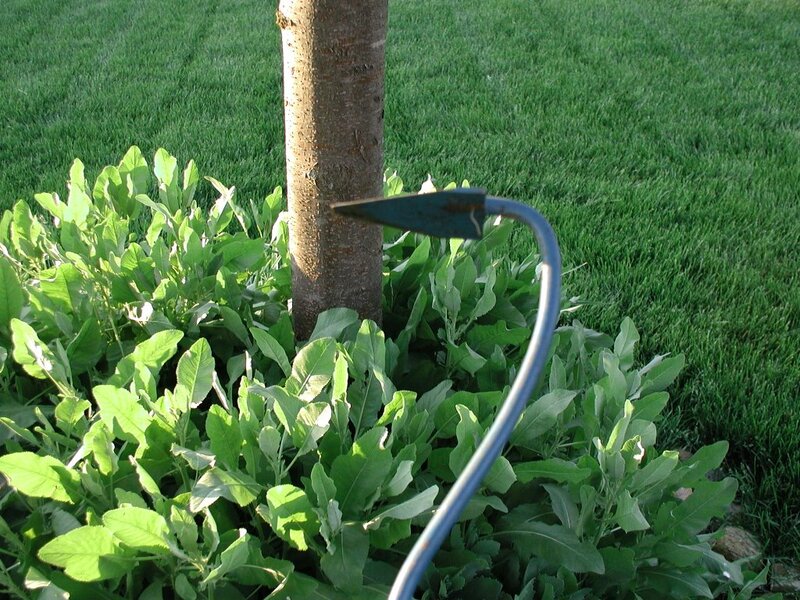 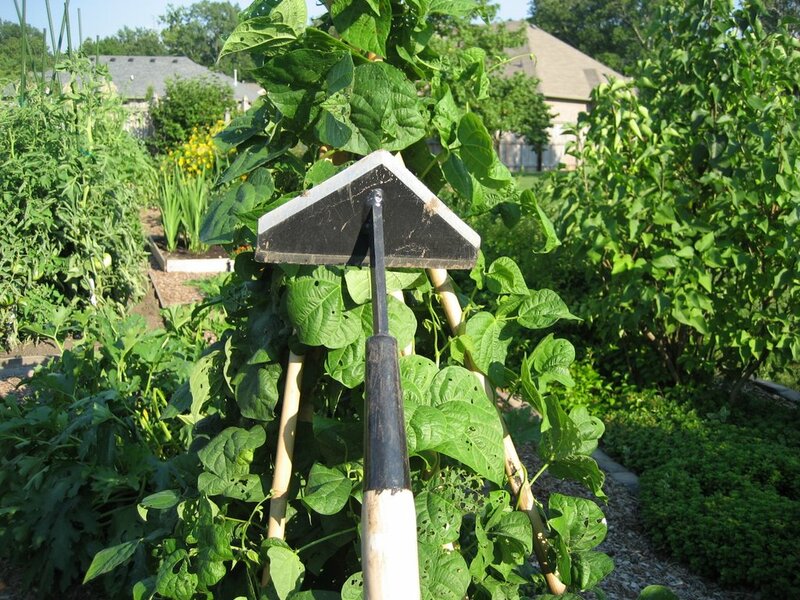 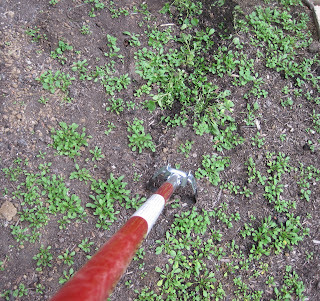 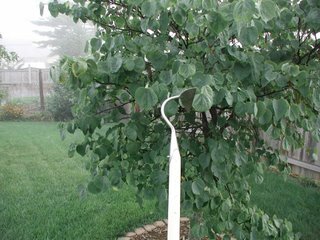 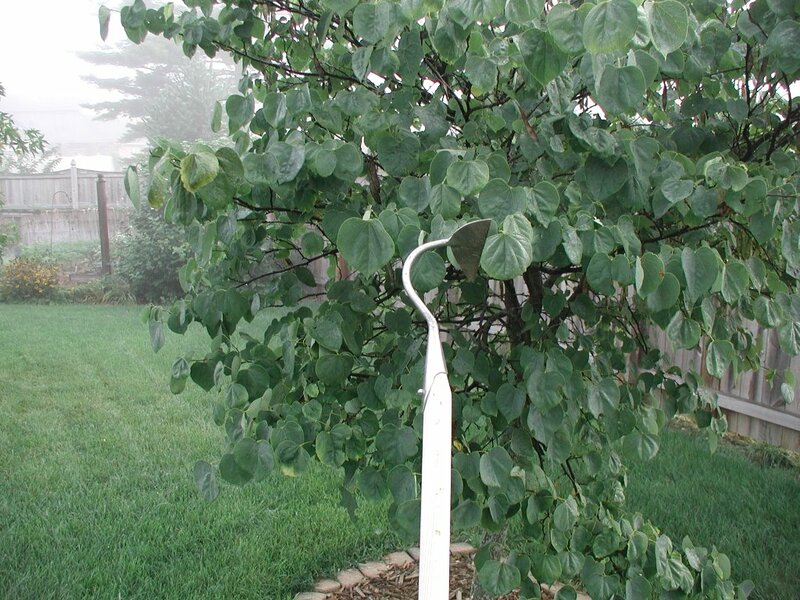 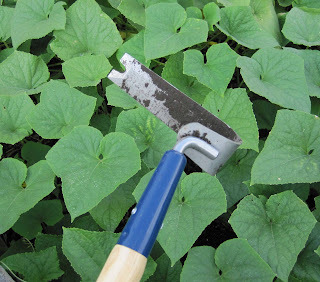 Stirrup Hoe - Cuts down weeds like a true champ! 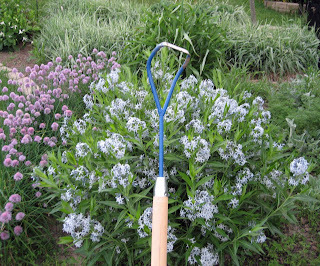 A Ro-Ho Gardener, a unique hoeing machine! 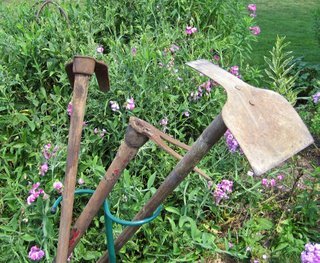 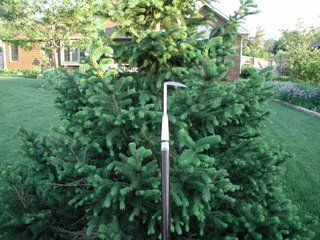 A good American hoe, well-used, but still very useful. The Cobrahead, no weed is safe from it's quick strike. 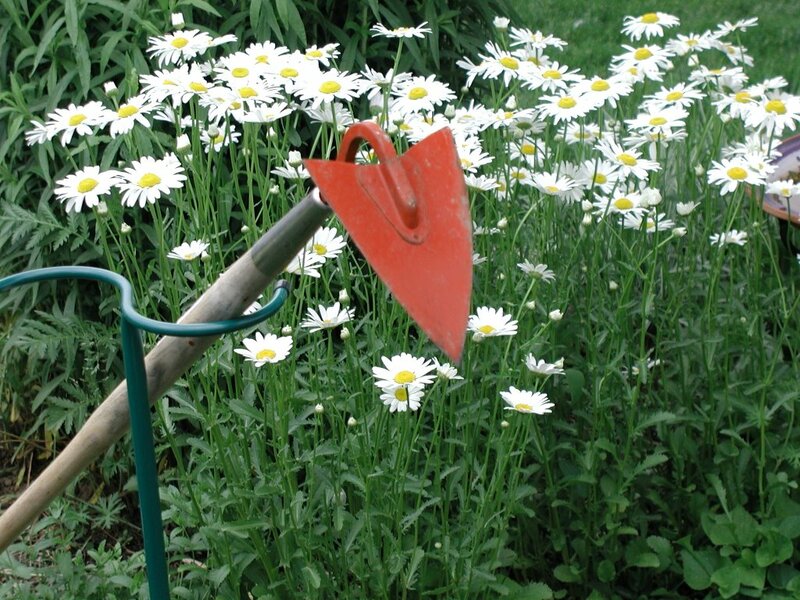 The Circlehoe, runs circles around weeds. 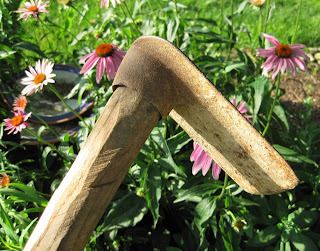 An old Asian hoe, reminds us of the timelessness of gardening and gardening tools. 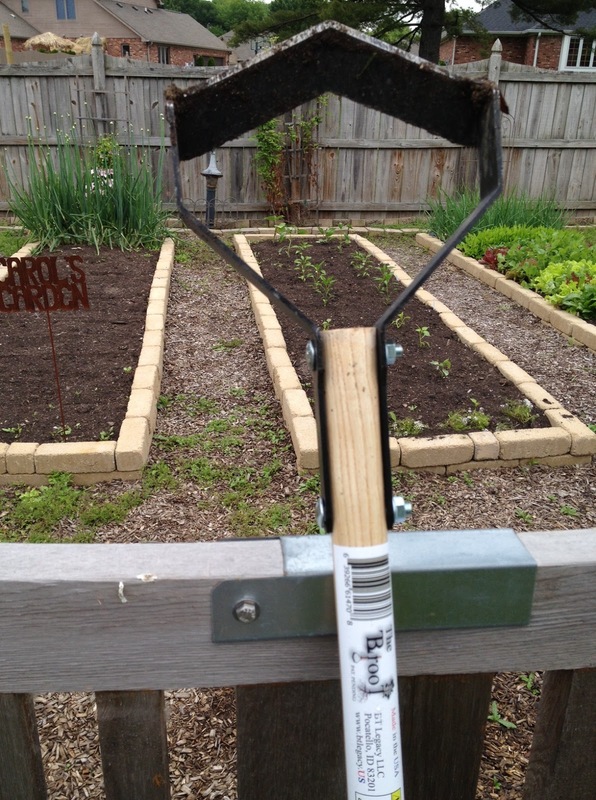 The Deck Digger, because even decks need to be hoed on occasion. 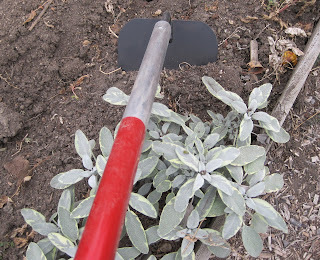 This old grub hoe has a secret past! 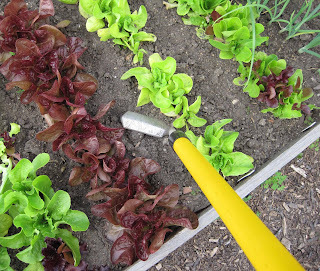 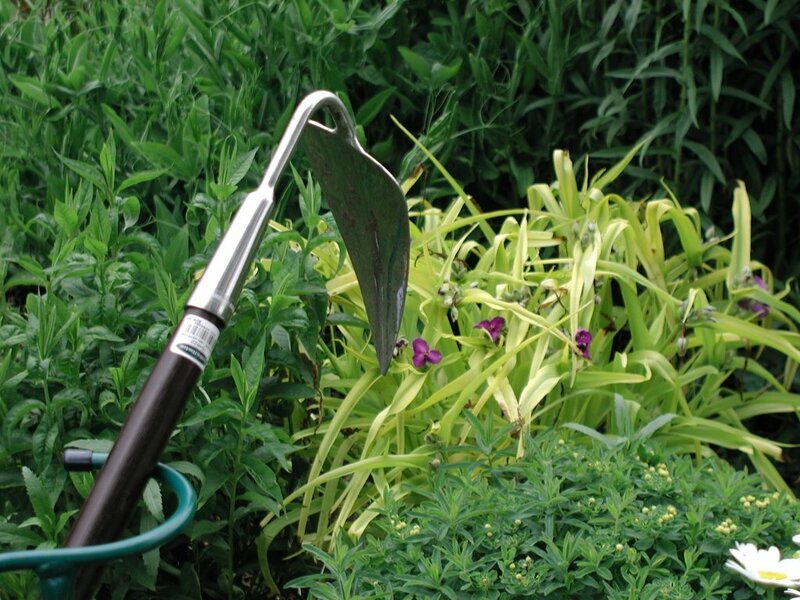 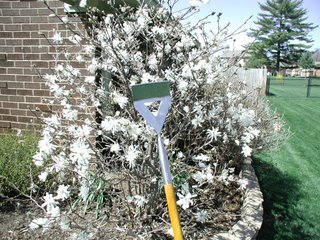 The Let-Us Weeder... good in the lettuce patch and any patch! 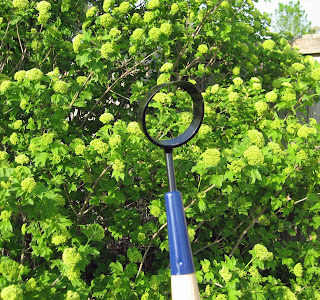 The Hooke ‘n Crooke™, it's more than "just a hoe", it does everything! The hoe●dag®. 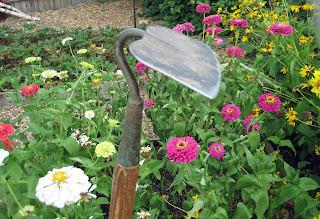 As handy a hoe as I've ever used. 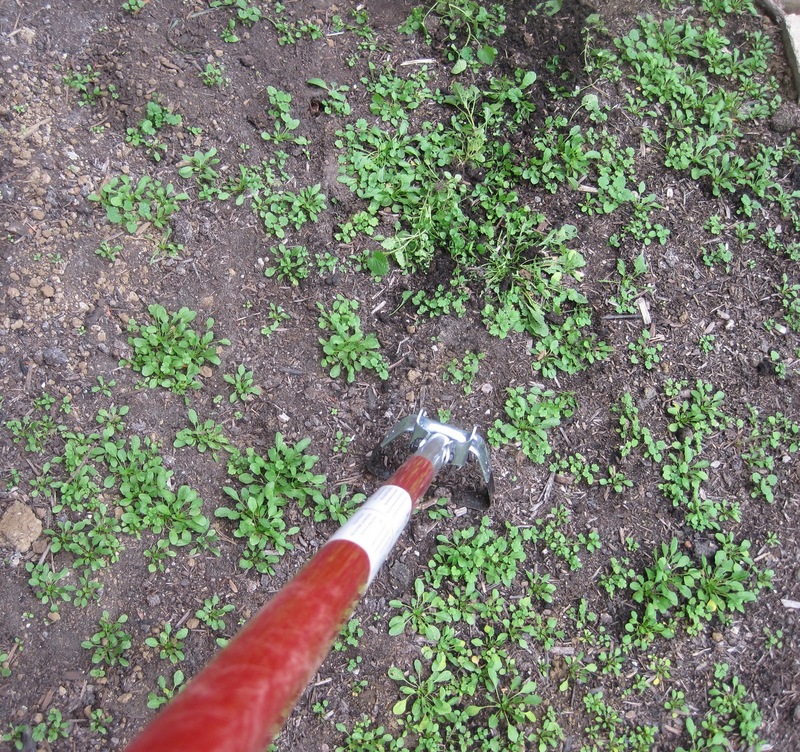 It digs, dugs, dags, and I love it! 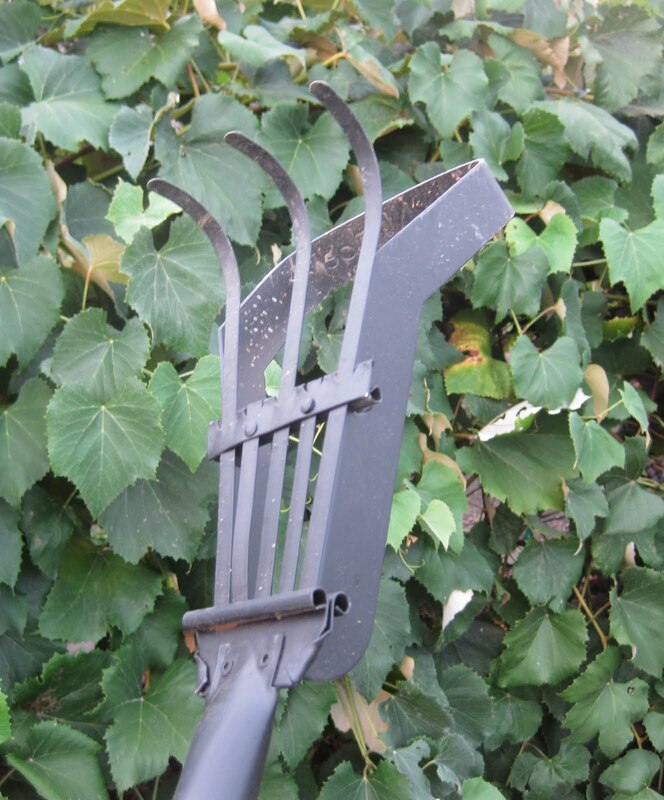 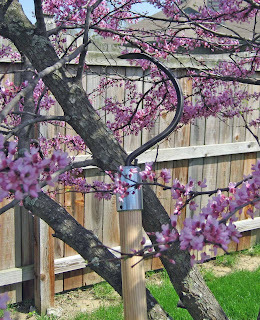 The Fork Hoe, perfect for moving mulch and cultivating the hard-packed soil! 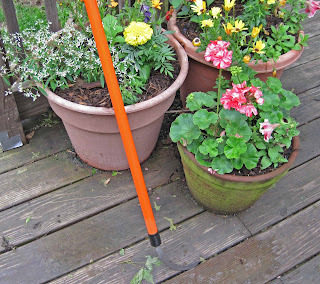 The Corona® Garden Hoe. 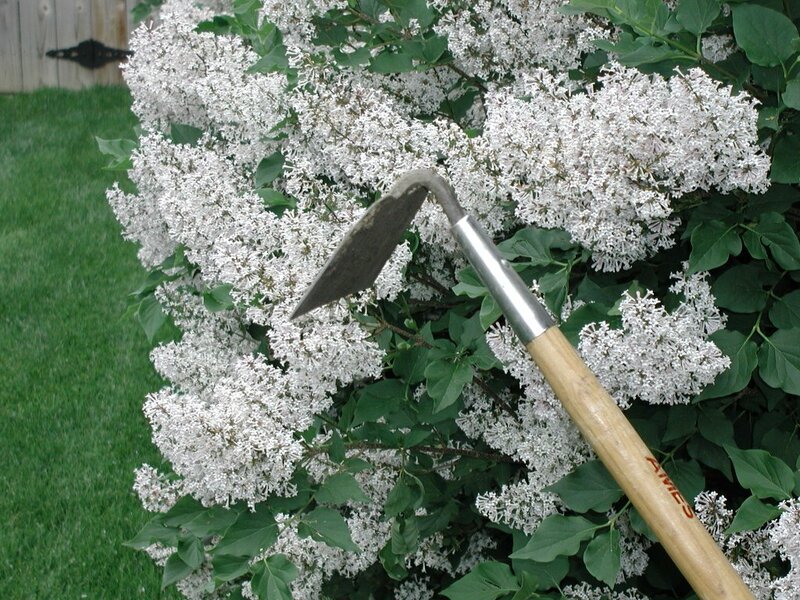 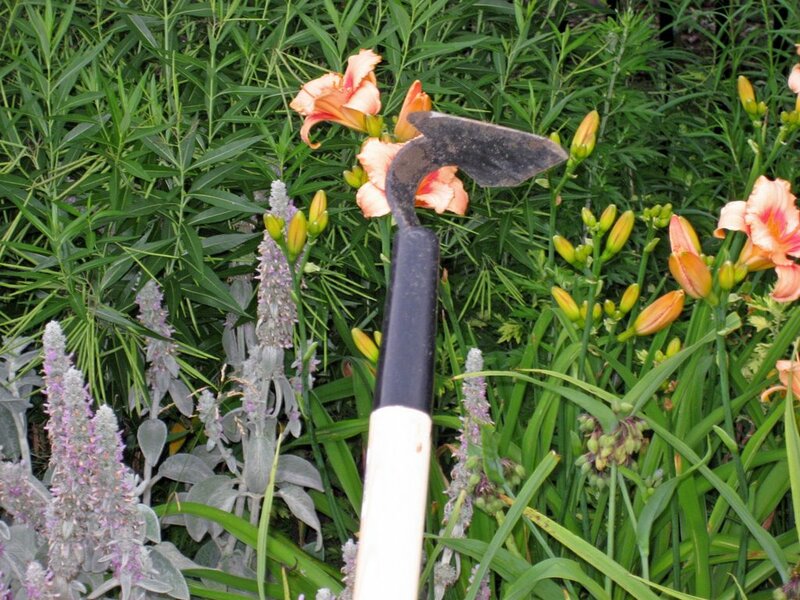 Red-handled, professional quality, a good hoe for any garden. 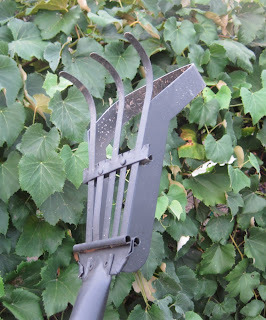 The DeWit Pull Spork Hoe from Garden Tool Co. 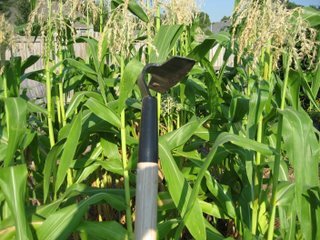 When you can't decide "fork" or "hoe", you can't go wrong with a spork hoe! 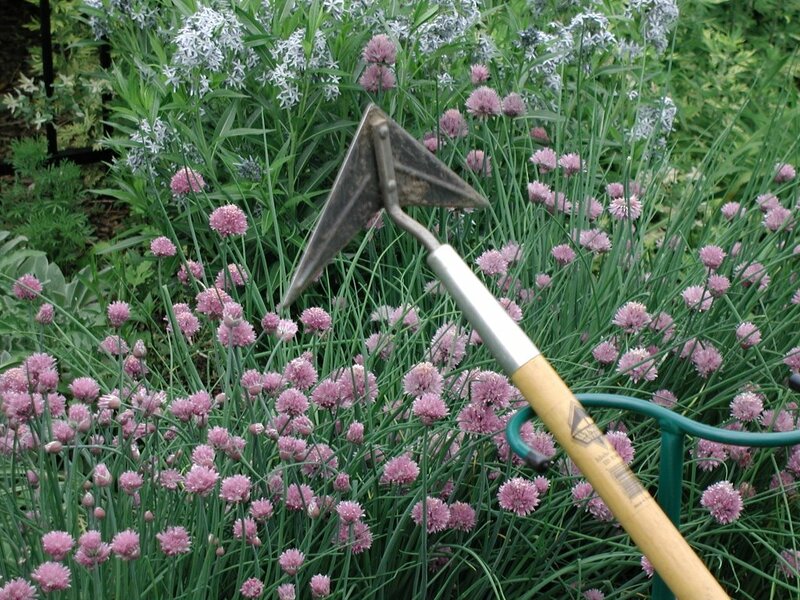 The Rake 'n Hoe. 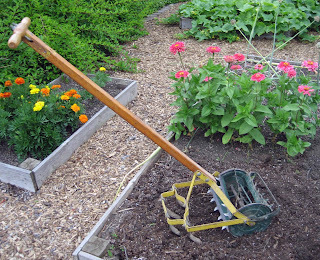 It's a hoe... and a rake! 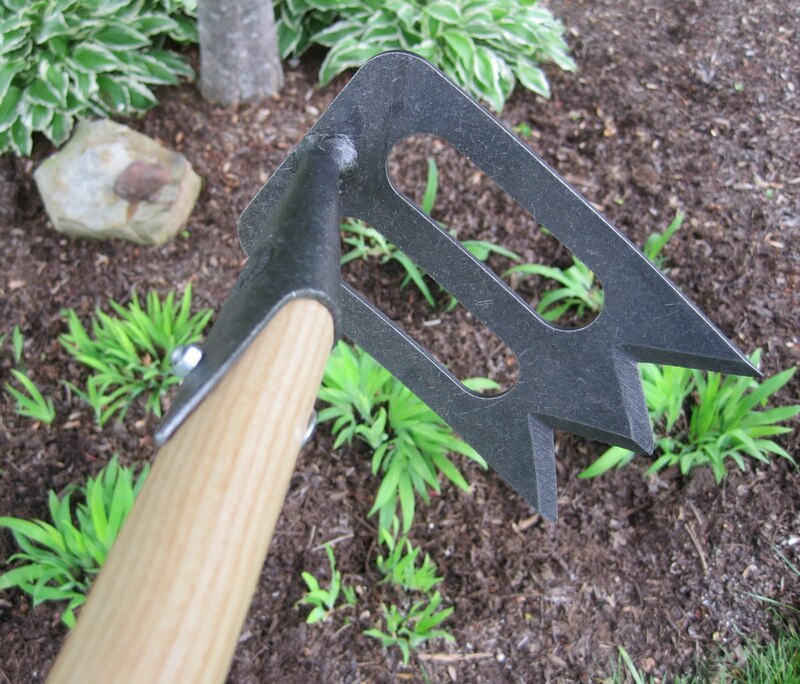 The Corona oscillating hoe. 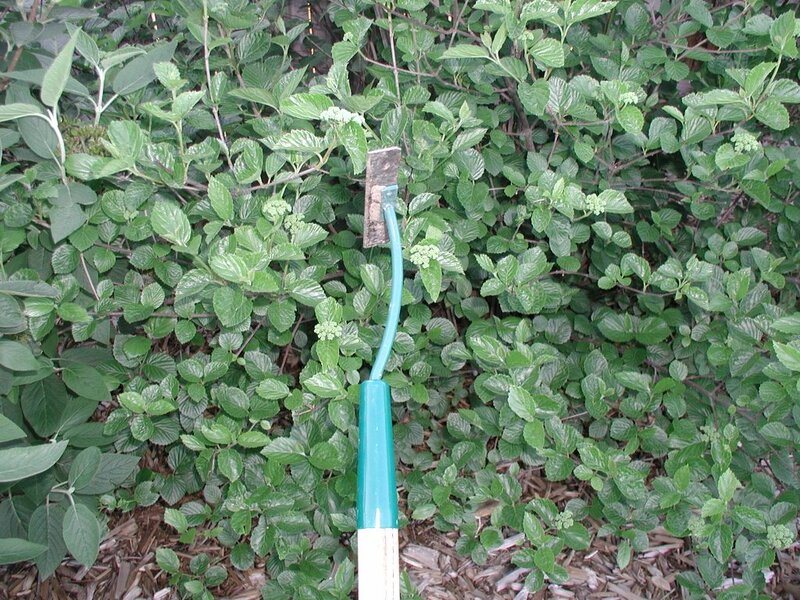 It works on the push and the pull so you can weed twice as fast. The Broot Garden Weeder. 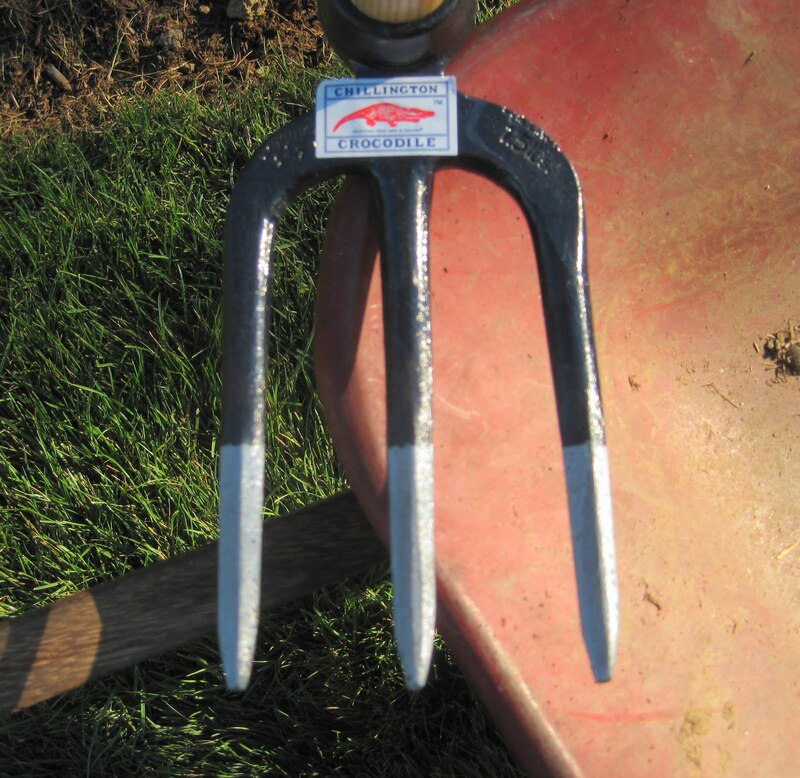 As tough a hoe as you'll find among stirrup type hoes. 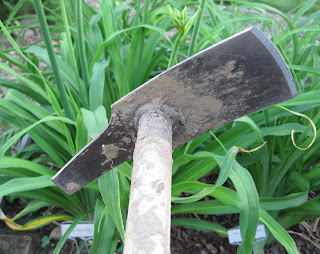 Does anyone have a favorite hoe that isn't like one in my collection? 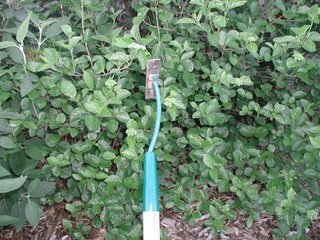 If so, let me know, I'd love to hear about it! 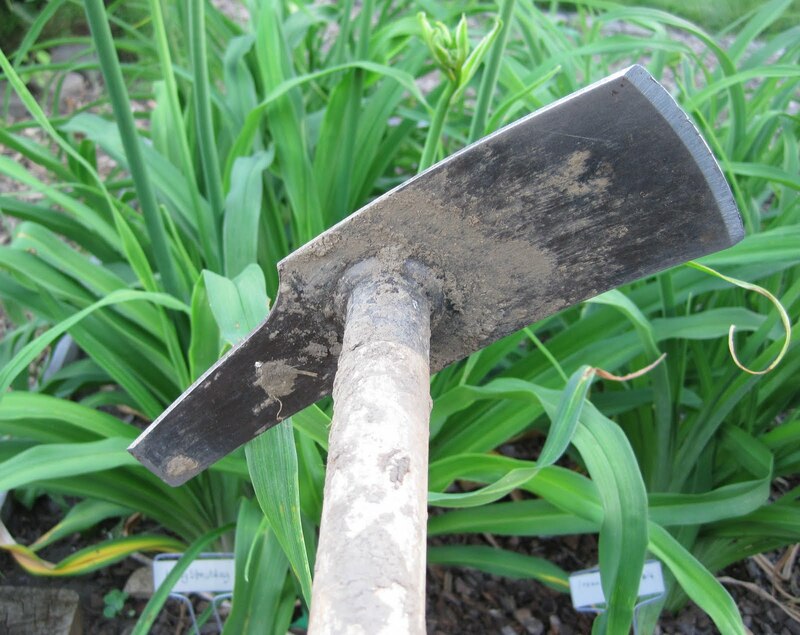 Yes, I've got a few hoes on my "want" list, like any good collector who has a collection. Yes, these are mostly working hoes. 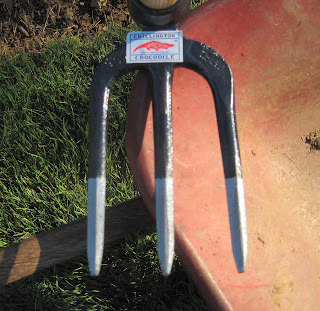 I do use them, some more than others. Oh, and how did I get the hoes posed like they are? I used a "MacGregor Tool Butler" of course!